Community leaders to be recognized at awards luncheon on Aug. 17. The Nisei Week Foundation announced the 2016 Nisei Week Pioneers, who will be recognized during the 76th annual Nisei Week Japanese Festival in Little Tokyo. Yoshinori Akutagawa was born in Hiroshima in 1934 to Hidemi and Torako Akutagawa. His family was fortunate to survive the atomic bomb attack on Hiroshima in 1945. 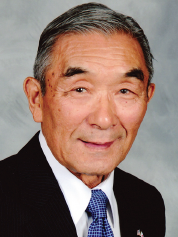 Upon graduating from Mukaihara High School, he came to the U.S. in 1952 and graduated from Pasadena City College. In 1955, he was drafted into the Army and spent two years stationed in Japan and Korea during the Korean War. After his military service, he worked for an engineering company, Sperry. With the company’s recommendation, he entered the DuPont School of Engineering. Upon graduation, he worked his way up from customer service department manager to nationwide manager of customer service along with overseeing the coordination of Asian Pacific affairs. He remained in the engineering field until he retired in 2000, although he continued consulting for DuPont NDT Systems for 10 more years. Presently he serves on the Nishi Hongwanji Advisory Committee for the 50th anniversary and the Nishi Hongwanji Investment Fund Advisory Committee. In 2000, he received a commendation from Gov. Yuzan Fujita of Hiroshima Prefecture for outstanding service to the Hiroshima Kenjin-Kai and for promoting friendship between the U.S. and Japan. Ten years later, he received a similar commendation from Gov. Hidehiko Yuzaki of Hiroshima Prefecture. In 2011, Japan suffered greatly from the Tohoku earthquake and tsunami. Under Akutagawa’s leadership as president, Hiroshima Kenjin-Kai raised more than $30,000 within a few days of this tragic event. He and his wife personally delivered the much-needed funds to the governor of Hiroshima, who, in turn, presented it to the Japan Red Cross. Akutagawa also continues to participate in the community through his interest in karaoke and supporting his grandsons at their Japanese schools and basketball games. He and his wife, Junko Hatta Akutagawa, were married in 1964 and settled down in Rosemead. They have two daughters, Yuki and Susan. He became the proud grandpa of two grandsons, Ryan in 2007 and Rex in 2010. In 2012, both were crowned Nisei Week Baby Show Prince in different age classes. Sakaye Inouye Aratani was born in 1919 to Eijiro and Katsu Inouye in Hollywood, where her parents were in the nursery business. Aratani and her family were interned at Poston, Ariz. during the war. She met George Aratani a few years before the war. He was interned at Gila River, not far from Poston, and enlisted in the Military Intelligence Service as an instructor teaching Japanese to U.S. Army personnel. But before leaving for Minnesota to report for duty, he proposed to Sakaye. She and her future mother-in-law traveled to Minnesota to join him. The couple were married among close friends in Minneapolis. After the war, the family moved to Boyle Heights. It was during this time that Aratani became very involved in philanthropy. Her first involvement was with a group of women in Los Angeles, both Japanese and Caucasian, whose mission was to help starving war widows in Japan. They reached out to women’s groups and churches throughout the U.S., requesting discarded nylon hosiery. The group sent the hosiery to the war widows, who created thread and ornaments to sell in order to survive. Aratani was a board member of the Japan America Society (JAS), holding the post for 20 years. She organized the first JAS golf tournament, which continues today. In the early 1950s, she and a group of women golfers organized the first Nisei Women’s Golf Club, which met monthly to play and socialize. She was its first president. She helped form a group of ladies from Japan who created a forum for young musicians to perform in an orchestra, now known as the Asia America Symphony Association. Many Japanese youth have had the opportunity to perform under conductor Dr. Akira Kikukawa. Aratani was one of the founders of the Asia America Symphony Women’s Guild, which organizes fundraising events to support the association. Aratani was also one of the founders of the Japanese American Montebello Women’s Club, an aggressive philanthropic group that organized many fundraisers for the City of Hope, and raised money to purchase wheelchairs for Keiro Nursing Home. 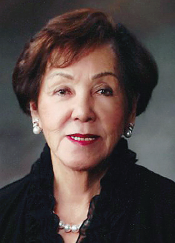 During the 1960s, Aratani helped Miki Sawada, an heiress to Mitsubishi Japan, to create a large orphanage for biracial children born after the war. They were shunned by society and discarded. Sawada took them in and created the Elizabeth Saunders Home. When she decided to transport many of these children to South America, where they were guaranteed work on the coffee plantations, she was very concerned the children would not have shoes. Aratani immediately went to work collecting discarded shoes from schools and gymnasiums. Sawada found that Aratani had fulfilled her request beyond what she anticipated. In 2013, the Aratanis supported the UCLA Department of Asian American Studies, creating the Aratani Endowment, which is designed to promote projects to benefit and advance the Japanese American community and strengthen ties between the community and UCLA. She is the first Japanese American woman to be recognized by the Japanese government, receiving a Kunsho in 1963. Today, Aratani serves as president of the Aratani Family Foundation, following in the footsteps of her late husband. She has two daughters, seven grandchildren and five great-grandchildren. In her leisure time, she enjoys chigiri-e, the art of paper-tearing. She also excels in sumi-e and has won several awards for her work. The legacy Coach Tom Marumoto has built over 40-plus years of working with the youth of the community is his total passion in life. He believes in a focused commitment and the sharing of life values through sports training. It’s not all about the game, but rather the character of the player. Marumoto teaches a sound work ethic that includes dependability, commitment, industriousness, teamwork, sportsmanship, responsibility, practice, self-control, and giving back to the community. As his students proceed in life they take with them these compelling values, which will be a part of their foundation to become successful adults and community leaders. At the core of his philosophy is a healthy family and spiritual teachings. Marumoto loves what he does and rises each day with eagerness and anticipation of teaching another young athlete. Since its inception in 1986, Marumoto Basketball Academy has taught athletes from the U.S. and other countries. The students progress and improve their basketball abilities through its rigorous skills and values training program. For 30 years, the academy’s focus has been teaching players to achieve the ultimate goal — to be the best they can be. Male and female athletes from all levels have their basketball skills rise sharply due to this unique program, which consists of teaching proper attitude and individual steps to learning, training, working hard, and evaluating and analyzing individual athleticism. Marumoto then highlights players’ strength and weaknesses and creates an individual plan for development and improvement of their fundamental skills through scientific methods, a training program, and a practice plan. Throughout his career, Marumoto has helped coach numerous teams, including Yonsei Boys Basketball Team, SEYO Youth Basketball/Baseball Team, Nisei Relays, Evergreen Youth Basketball, SGV Boys and Girls Basketball Clinic, Play for Japan Basketball, Japan Junior National men’s team, Japanese Adult Fast Pitch Softball, and Japanese Adult Basketball. Marumoto has also been an active member in various community service organizations, such as the Japanese American Cultural and Community Center, Japanese American Citizens League, and Orange County Optimist. He is married to Joyce Marumoto and is the father of three sons. He enjoys fishing, watching and studying sports, gardening, traveling, doing art, attending church, and spending time with his family and friends. 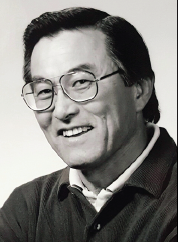 Terry Tanaka was born in Torrance in 1938, the sixth of seven children of Tomokiyo and Fumiko (Mitsuuchi) Tanaka. His father, born in Japan, immigrated to Glendale, Ariz. in 1918 and farmed there with his father. When Executive Order 9066 was issued in 1942, his father refused to go to “camp” and instead the family moved from California back to Glendale to farm. In 1946, the family returned to California. After attending Pepperdine College, Tanaka entered USC Dental School at age 20 and worked nights at a gas station and later as a dental technician to help pay for tuition. He graduated in 1962 with a Doctor of Dental Surgery degree. After graduation and while serving in the U.S. Navy Reserve, Tanaka was placed on active duty at the U.S. Naval Training Center in San Diego, where he received two additional years of advanced training in prosthodontics. While on active duty as a Navy dentist, he also worked two evenings after work and on Saturdays treating patients in private practice. Years later, he spent another three years as a major in the Army Reserve instructing others throughout the nation. In 1964, released from active duty, he started a private practice in Chula Vista, which he maintained until 2015. In 1965, Tanaka began his part-time teaching career at the USC School of Dentistry and was promoted to clinical professor in 1988 in the Departments of Graduate Prosthodontics and Endodontics. More than 90 dental and medical schools and surgery programs in the U.S. and abroad use the anatomical educational materials he developed. The longest-serving professor at the School of Dentistry, his ongoing research continues to add insight into the causes of post-arthroscopic surgery fatalities. Tanaka started the Field Dental and Surgical Team in Mexico, the largest comprehensive U.S. field mission team, from 1983 to 2008 with more than 160 professional volunteers at each clinic session. His efforts spawned the initiation of field mission teams around the globe to treat the underserved. He has received many humanitarian and lifetime achievement honors in the field of dental health, and continues to be in demand as a lecturer at universities around the world. 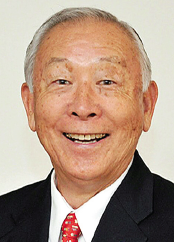 In addition to his longtime involvement with the Rotary Club of Chula Vista, Tanaka actively supports the San Diego JACL, the Japanese American Historical Society of San Diego (JAHSSD), and the Buddhist Temple of San Diego. In 2007, he was recognized with the JAHSSD Kansha Award for his lifetime of community service. Emiko Kato Yamada was born in 1932 at the Japanese Hospital in Los Angeles. She lived in Boyle Heights until 1942, when she and her family were relocated to the Heart Mountain internment camp in Wyoming. At 10 years old she thought it was like summer camp and had fun exploring as a tomboy. She washed and pin-curled the hair of many of the women there. Sadly, the family returned to Los Angeles at the end of the war without their father, who died in camp. After high school, she went to college and applied to be as a legal secretary at a time when Japanese women were discriminated against and had a difficult time getting good jobs. Her first boss did NOT want to have a Japanese secretary, but the firm hired her anyway. Her boss quickly learned she was extremely capable and they became the best of friends; he even walked her down the aisle when she got married. Yamada was president of the Nisei Legal Secretaries Association for a year and helped may other Japanese women get jobs with prominent law firms. In 1952, a community member nominated her for the Nisei Week pageant. At the Pasadena home of the Japanese consul general, Yamada was selected one of the five finalists and chosen queen at the Coronation Ball the next night. Queen Emiko and her court attended many community events. Yamada was president of the Women’s Athletic Association (WAA), which organized volleyball and basketball leagues for Nisei women’s teams. She changed the bylaws, which helped increase participation in the organization. She married Henry “Tak” Yamada and had two children, Merilynn and Ron. She continued to work in downtown L.A. and was eventually promoted to office manager of a prominent law firm that grew from five lawyers to a staff of more than 200. For leisure, she enjoyed playing bridge and hana on Saturday nights and taking Sunday drives with the family. In 1983, Yamada retired after her kids graduated high school. She and her husband were actively involved with ballroom dancing. Yamada often helped with benefit dances, as she was excellent at organizing events and prolific at selling tickets. 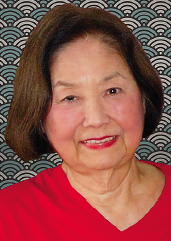 For two years, she was president of the Gardena Valley Nisei Club, a ballroom dance club with more than 500 members. She was a top fundraiser for Taisho Club benefit dances and also volunteered at its health fairs. Before she stopped dancing, she was very active in Glenn Yata’s ballroom dance group and helped organize his annual Le Grande ball. In 1984, Yamada organized a reunion of former Nisei Week queens. Finding former queens was a monumental task, as the Nisei Week office did not keep a roster. In an age before the Internet, she tracked them down via telephone and snail mail. Through her tenacious outreach, she gathered more than 25 former queens to attend the first reunion lunch at the New Otani Hotel. The Queen’s Reunion is now an annual Nisei Week event that gives past queens an opportunity to return to Little Tokyo and volunteer their time in support Nisei Week. Yamada was chair for 28 years until she retired in 2012. Last year, she lost her husband after more than 60 years of marriage. Today Yamada lives a quiet life, enjoying reading, watching the news and “Dancing with the Stars.” You can find her having lunch with friends and family at George’s coffee shop several times a week. The 2016 Nisei Week Japanese Festival will take place from Aug. 13 to 21. For a calendar of events, visit www.NiseiWeek.org, call (213) 687-7193 or email [email protected] The Nisei Week office is located at 244 S. San Pedro St., Suite 303, Los Angeles, CA 90012.